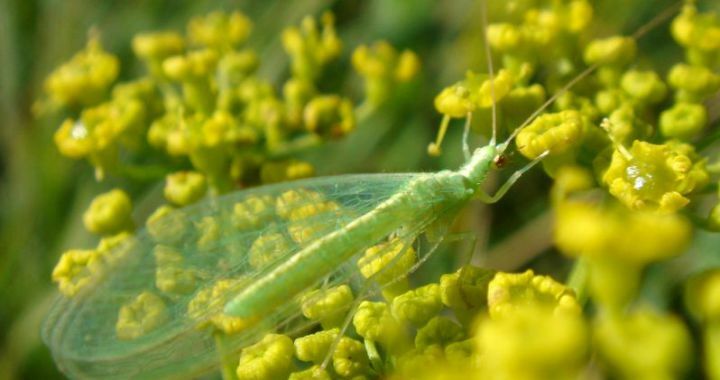 Lacewings are insects with large, lace-like wings and it is mainly the larvae (which look like little alligators) that destroys most of the pests. They are sometimes called aphid lions for their habit of dining on aphids. Other pests they feed on include mites, other small insects and insect eggs. See if you can find some in your garden or plant some of the following to attract them: Coriander, Dill, Fennel, Tansy and Yarrow. Posted in Growing Herbs, Insect Repelling and tagged destroys, insects, pests, plant.